Jim Matheson: Before the trade deadline the Edmonton Oilers tried to trade goaltender Cam Talbot to the Vegas Golden Knights to give them a more experienced, veteran backup. The Golden Knights weren’t interested. Emily Kaplan of ESPN: Looking at the keys to the New Jersey Devils offseason. The Devils need to sign Taylor Hall to a contract extension as soon as they can after July 1st. They have lots of salary cap space and they should look at spending to improve their blue line and depth scoring with a middle six forward or two. 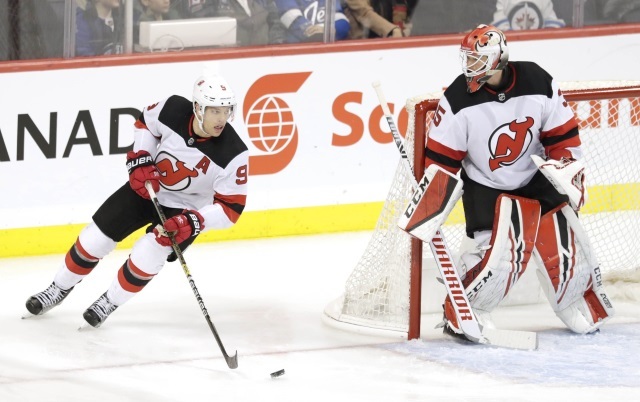 If the Devils don’t think that Cory Schneider or Mackenzie Blackwood are a capable starter for next season, then they need to find someone who is. Chris Nichols on Nichols on Hockey: Bob McKenzie was on TSN 690 talking about the Buffalo Sabres. The Sabres have some talented players but they don’t have the depth. That is an area that needs to be addressed sooner than later as their fans have been waiting for a long time. There may not have been the expectation to make the playoffs this season, but they wanted to at least be in the race. There will likely be a full evaluation after the season.